You can use any mushrooms for the mushrooms. I actually used 100g of shiitake, 100g of chanterelle and 300g of chestnut mushrooms for an extra woody and earthy flavour. 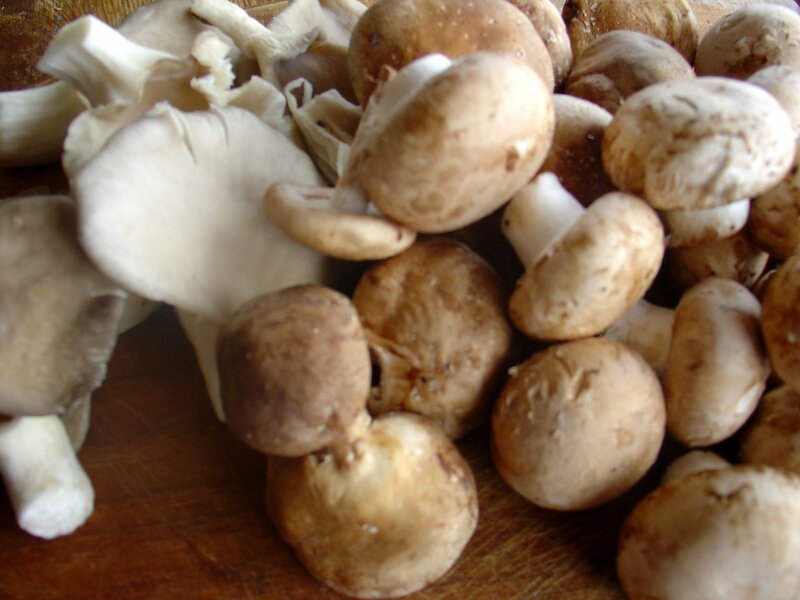 Champignons from the shops can be a bit flavourless. Melt the butter and heat the oil together in a saucepan and then add the finely chopped onion and garlic. I whizzed them up quickly in a food processor. Cook these gently until translucent which will take about 5 minutes. Now add the chopped mushrooms and fry at a high heat until cooked through but not burnt. Stir in the breadcrumbs, add the seasoning and the crème fraiche together with the chopped parsley. 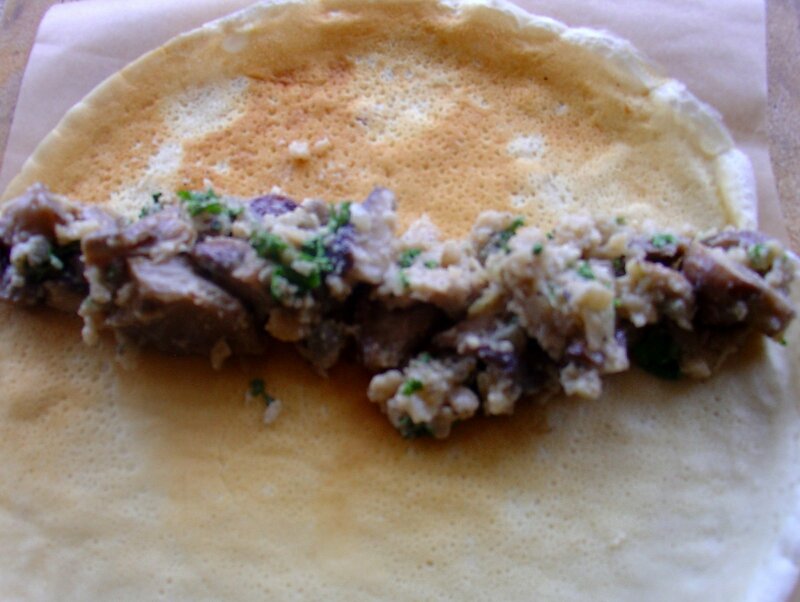 To stuff the pancakes, put about 1 tablespoon of the mixed mushrooms in the centre of the pancakes and then spread along its length and about 3cm wide. 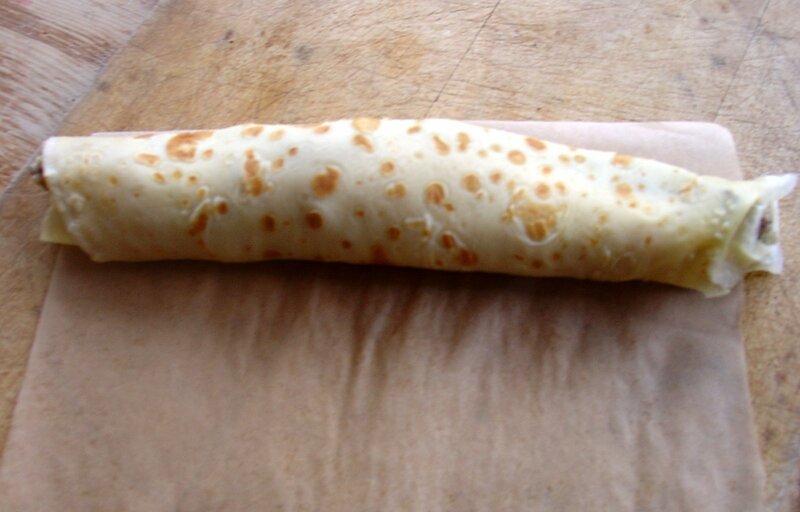 Now fold over half the pancake and roll up the pancake. Place the stuffed pancake in a baking tray. Repeat this for the other pancakes. To make the cheese sauce first melt the butter in a heavy pan, then add the flour. Stir this well. Let the mixture cook gently for about one minute then add the milk little by little, stirring continuously after each addition. When all the milk has been used, add the first lot of grated cheese and the seasonings and stir in thoroughly. Pre-heat the oven to 180oC / 350oF. 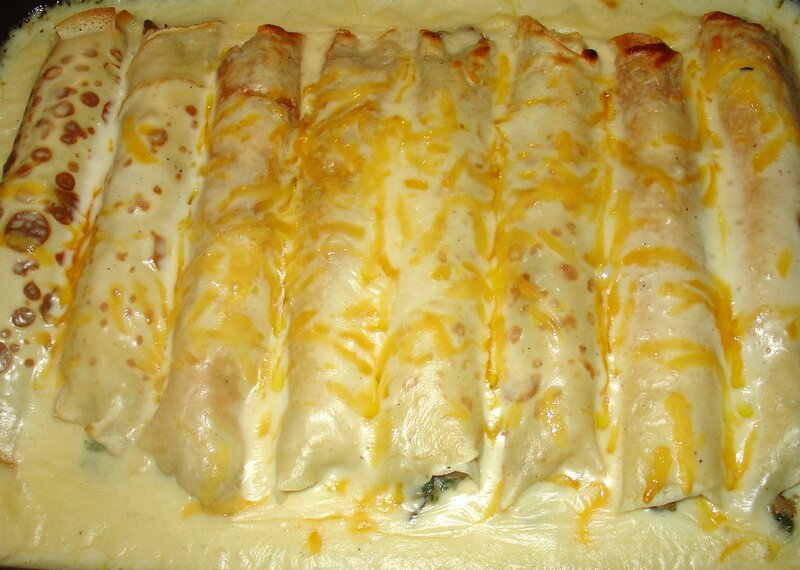 Pour the cheese sauce over the stuffed crêpes and then sprinkle the last cheese over the top. Bake in the oven for 15 - 20 minutes until the sauce is bubbling. Serve immediately. We served ours with new potatoes, peas and a salad.